You can get a code 1 learner's licence and drive a motorcycle up to 125cc at 16 years old. You are allowed to drive a motorcycle over 125cc at the age of 18 with a code 1 learner’s licence. For a car, minibus, small goods vehicle or bus (weighing less than 3 500 kg) you must be 17 years or older. 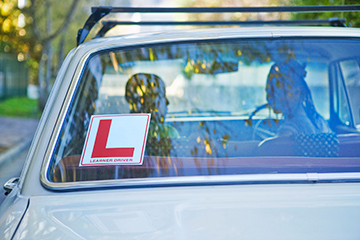 Once you have a learner's licence, you may drive the type of vehicle for which the learner's licence is valid. However, a licensed driver must accompany you at all times (except on a motorcycle). A learner driver may not carry another person on a motor cycle. A code 2 licence will allow you to drive a light motor vehicle and a code 3 will allow you to drive a heavy motor vehicle. Two ID-sized black and white or colour photographs (35mm x 45mm). You will also need to complete the LL1 form, which will be provided by the traffic department. Remember to take a pen as most traffic departments do not provide any. Sick (you will need to provide a medical certificate). Attending a funeral (you will need to provide a death certificate). Writing exams (you will have to provide a timetable). The payment will not be refunded if you cancel your appointment. If you will not be able to make your test, make sure to cancel it as this causes a backlog in the appointment system. You need to pay R68 to make an appointment to write the learner's licence test and R33 for the learner's licence once you have passed the test. 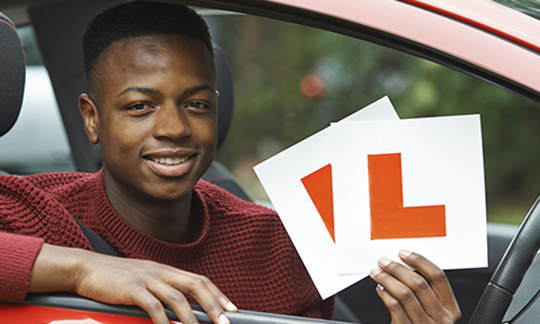 In order to pass your learner’s test, you need to study and understand the rules of the road, road markings, road signs and the controls of a vehicle. Study the K53 book, which you can buy or borrow from one our public libraries. When you are out and about, try to properly identify road markings and signs. Don’t be afraid to ask a driver to explain a rule or road sign. Go over practice test papers and mock tests that are available online. You must also undergo an eye test. A learner's licence is valid for two years. When you have made your appointment and received your test date, make sure you get to the venue on time. Stationery is provided at the testing centre. Once you have your learner’s licence, you may drive the type of vehicle that your licence is valid for, but you need to have a licensed driver with you at all times. Your learner’s licence will be valid for two years.